from Professor David McCann of Harvard University. 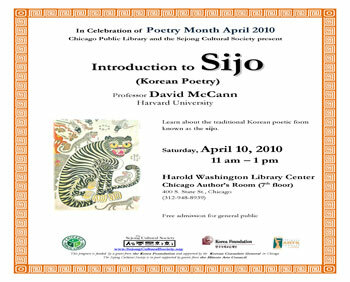 "CAMBRIDGE - The class on writing Asian poetry that Professor David McCann teaches at Harvard includes units on Chinese quatrains, Korean sijo, and Japanese haiku, the last of which is so well-known that McCann’s students had haiku days in middle school. Why, McCann wondered, couldn’t the three-line Korean sijo that he loves enjoy the same widespread recognition as the three-line, 17-syllable haiku? 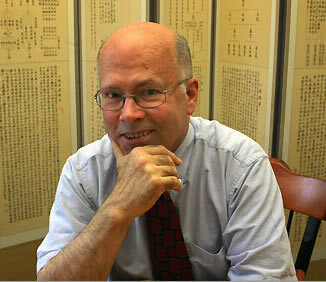 “Students who have a haiku day, when they grow up and see a Japanese novel, they’ll be interested,’’ McCann says. “There could also be a sijo day. Children might find sijo something they can try, then one day see a Korean novel translated and say, ‘I can read it.’ ..."
scholars, members of the royal court and common folk . . .
fascinating challenge. Let us see your latest one." Where are the spring flowers abloom? of sinking sun, I have no place to go. - Yi Saek (1328–1395), on the decline of Goryeo Kingdom. That I may draw out the night, should my love return. 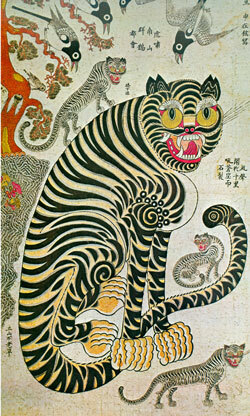 - Hwang Jin-i (1522–1565) A famous female Korean sijo poet who was also a kisaeng, a professional entertainer. I made you what I thought I wanted. That wasn’t it – who could have known? the world we make – before it goes. Green lobsters in the bubbling tank by the restaurant door. Slights, fights, bites—whatever the cause, make peace and flee, escape with me! 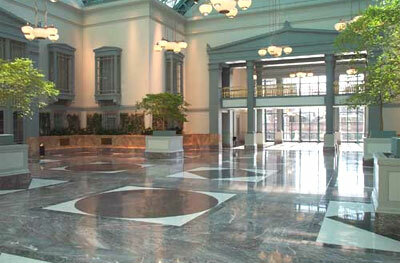 The Harold Washington Library Center opened October 7, 1991. 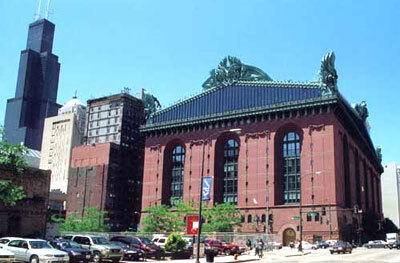 Thomas H. Beeby and his colleagues in the firm Hammond, Beeby and Babka, as a part of the Sebus Group, won a design/build competition for Chicago's new Central Library in June of 1988. This 756,640 square foot neo-classical building appeared in The Guinness Book of Records as the largest public library building in the world. 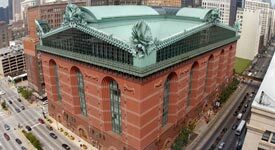 Easily accessible by public transportation, the Harold Washington Library Center occupies one block in the South Loop on the west side of State Street between Congress Parkway and Van Buren. Red Line (Howard-Dan Ryan) subway stops at State and Jackson. Exit at Van Buren and walk 1 block south. Blue Line (O'Hare Airport-Forest Park 54/Cermak) stops at Dearborn and Jackson. Exit at Van Buren and walk 1 block south and 1 block east. Green Line (Harlem/Lake Street-Ashland/63rd) Change to northbound Orange Line at Roosevelt road. The following list represents some of the parking facilities within convenient walking distance of the Harold Washington Library Center (HWLC). 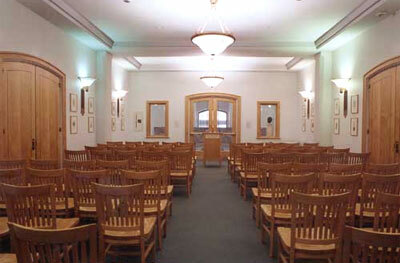 Sejong Cultural Society is 501(c) 3 non-profit organization created in the State of Illinois in August, 2004.